Floriano Ascensao began his career as an Analyst and then Coverage officer for Paribas. In 2000 he joined Crédit Agricole Indosuez as Relationship Manager for mid-sized corporates and local authorities. 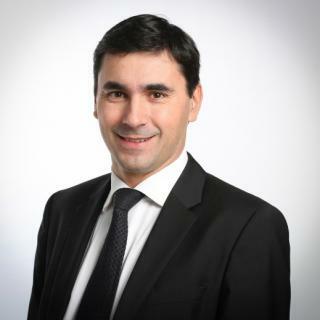 He became Global Relationship Manager within Calyon’s Large Corporates Department in 2005, first specialized in Defence and Aerospace and then in diversified French Large Corporates. In 2013 he joined the Investor Development team aiming to develop cooperation agreements with investors in loan asset classes. Since 2014 he has contributed to develop Crédit Agricole CIB’s European Credit Private Placement Group, a dedicated origination team which provides private placement solutions (including Euro PP) to issuers. Floriano graduated from EDHEC – Ecole de Hautes Etudes Commerciales du Nord.